Greetings fellow humanoids, this is DisneyExaminer speaking to you from the LAND OF TOMORROW, bearing news of an exciting addition that may speak of the near future of Disneyland! As we all know, Walt Disney was an innovator who used machines accessible to him at the time to make his creations even more magical and inspiring for all. If said machines were not in existence, Walt would make it so, giving birth to inventions like the monorail and audio animatronics. This innovative mindset is still being exercised today and has recently been brought into new “heights” with the recent filings of patents for drones. Drones are unmanned aerial vehicles (UAV) controlled remotely by humans or computers, mostly used by the government for reconnaissance and surveillance. 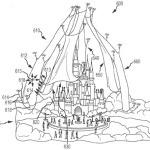 Disney Parks, on the other hand, is looking to use them to put a smile on our faces as patents filed recently by Walt Disney Imagineering shows us. 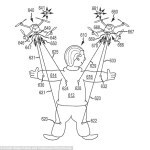 The first patent shows that these drones will be anchored by a flexible projector screen which will then have images projected on as it is aerially paraded across the sky. 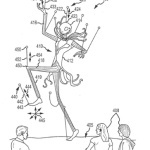 Drones will also be used for marionettes: the second patent will potentially attach limbs to each UAV creating an entire larger-than-life puppet in the sky. 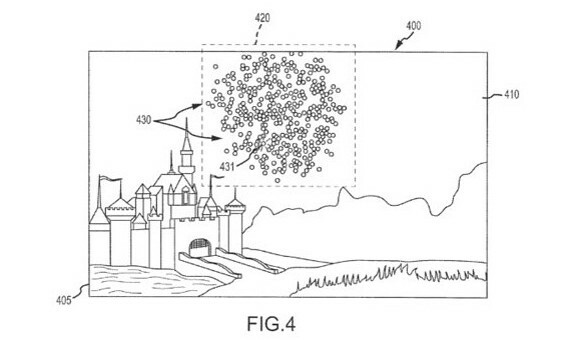 The last patent shows the drones being used to create “flixels” or floating pixels to create a vivid light display in the sky just like fireworks do. It is odd for Disney to use a machine designed for security and intel as a means of fun and excitement. A patent has not shown that these drones will be used for protection of its consumers, but maybe it just has not been disclosed to us just yet. Nevertheless, the use of drones by both government and even consumers and consumer-serving companies remains controversial. There are so many regulations that limit the use of drones no matter what the use, but that’s not stopping the move on Disney’s part. The doctrine of the man who launched the company is evident in patenting the idea. He made moving pictures to help us escape reality, used television to bring us his sense of imagination, and invented the monorail and the most advanced robotics to make life more enjoyable. We’ve come a long way since then thanks to technology, but Disney stands firm following footsteps of a man whose stories and ideas were so outrageous that they needed to be told some other way. Disney’s drones are the newest way of telling those stories. Do you think Disney’s use of drones is a good idea? What new technologies do you think Disney will come up with next? Let us know in the comments! Next story Main Street, Int’l.